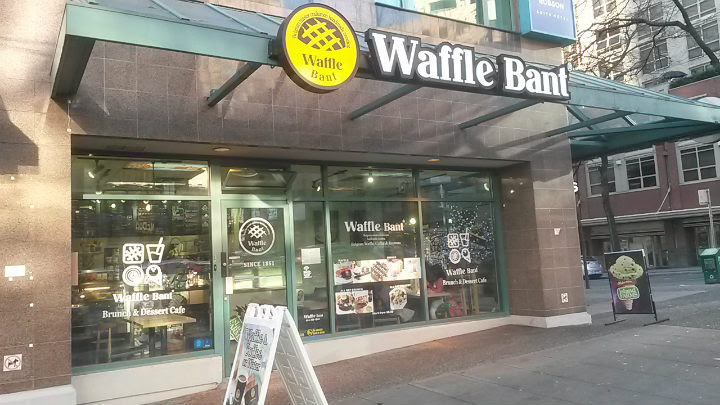 Waffle Bant is located on the corner of Robson and Hamilton in downtown Vancouver, British Columbia. 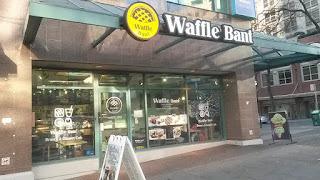 Apparently downtown Vancouver has a few waffle places, and there are two within a short walking distance of the hotel I stayed at. 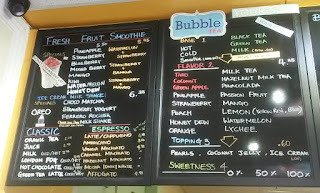 While waiting to get lunch at another place, I ducked in here for a quick bite. 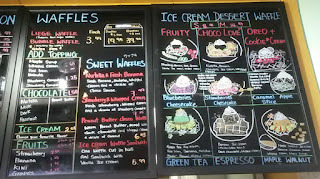 The menu consists of fresh fruit smoothies, espresso bar, and waffles. 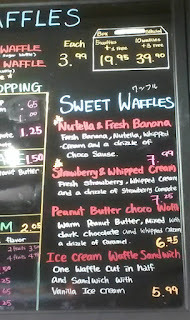 There are also ice cream dessert waffles, which may still sell surprisingly well during the chilly winter months. I opted for the Strawberry and Whipped Cream Waffle ($7.25): a liege waffle with fresh strawberries, whipped cream, and a strawberry compote drizzle. 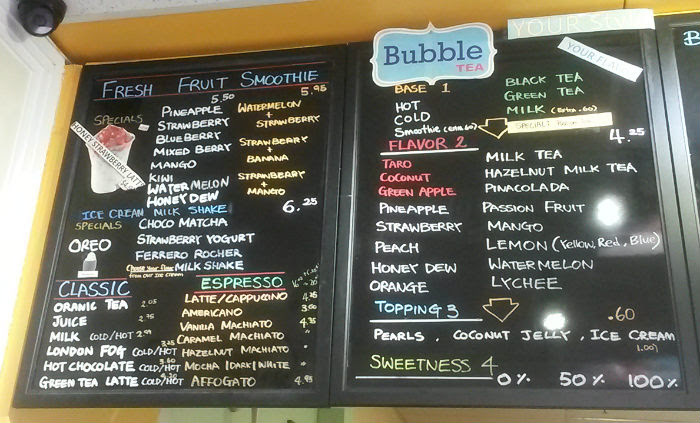 It appeared they either forgot the compote drizzle or put very little of it on mine. More of the drizzle would have made the experience better. 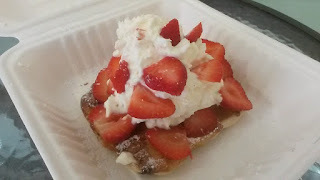 The waffle was still good, but without the compote, it ate more like three separate components instead of a cohesive unit. 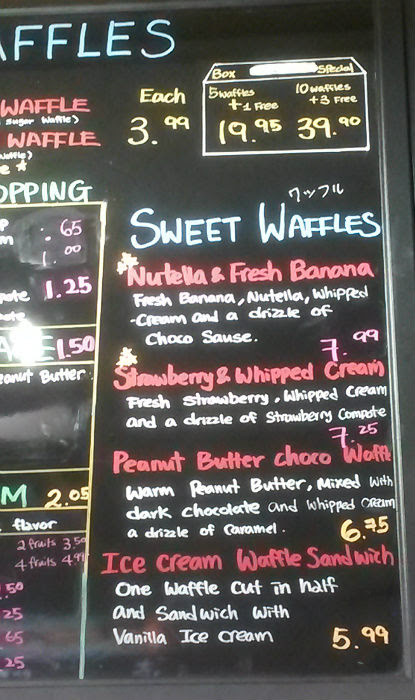 Perhaps during the summer, the ice cream waffle sandwich ($5.99) would be a great option, as would the ice cream dessert waffles ($8.99 small; $14.99 medium). 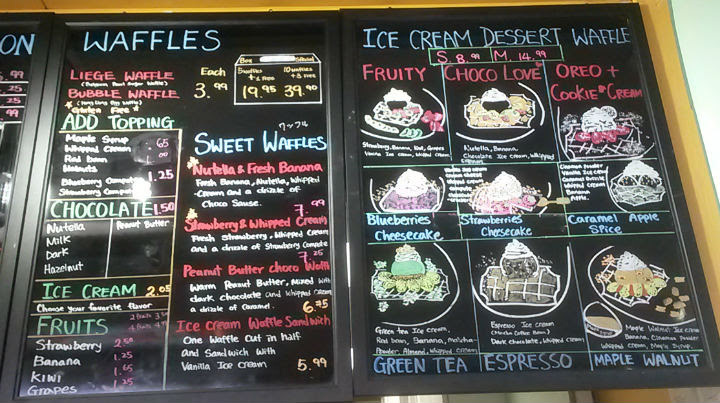 The latter basically is a good-sized waffle with ice cream and toppings.